Dr. Younsoo Bae is a pharmaceutical scientist with expertise in controlled drug and gene delivery therapeutics. Dr. Bae received his PhD in materials science and engineering from University of Tokyo in 2005, and completed postdoctoral training at the school of pharmacy, University of Wisconsin-Madison before he joined the department of pharmaceutical sciences, University of Kentucky, in 2008. 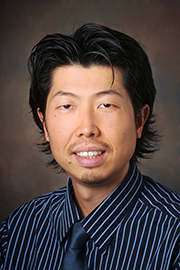 As of July 2014, Dr. Bae has published 53 peer-reviewed papers as well as 3 book chapters, and served as a reviewer for papers submitted to 43 scientific journals (Elsevier top reviewer in the subject area of Pharmaceutical Sciences 2012), international and domestic grant applications, and conferences (Controlled Release Society, Society for Biomaterials, American Association of Pharmaceutical Scientists, and International Conference on Biomaterials Science). He has served as a grant reviewer for many research programs, which include Canada Foundation for Innovation, Rommanian National Council for Development and Innovation Partnership Program, Department of Defense Congressionally Directed Medical Research Programs (Lung Cancer, Discovery Award-Nanomedicine for Drug Delivery Science, Technology Therapeutic Development Award, and Investigator-initiated Research Award), Nazarbayev University Research Council, Natural Sceinces and Engineering Research Council of Canada, Prostate Cancer United Kingdom, and the Netherlands Organisation for Scientific Research Technology Foundation. He is also an inventor on 12 issued and provisional patents. Dr. Bae’s research team currently focuses on the development of polymer nanoassemblies, such as block copolymer micelles (BCMs), crosslinked nanoassemblies (CNAs), and tethered nanoassemblies (TNAs), as biocompatible, multifunctional, and modular tools that can fine-tune the release of therapeutic reagents in metastatic tumors. His research team has demonstrated that polymer nanoassemlbies entrapping anticancer drugs can suppress growth of lung, breast, prostate and colon cancer tumors in laboratory animals with reduced toxicity as opposed to traditional chemotherapy using small molecule drugs. Dr. Bae’s research team also makes collaborative research efforts with many other sceintists with different disciplines, such as engineers, chemists, biologists, and clinicians, to facilitate translation of promising drug compounds into the clinic.